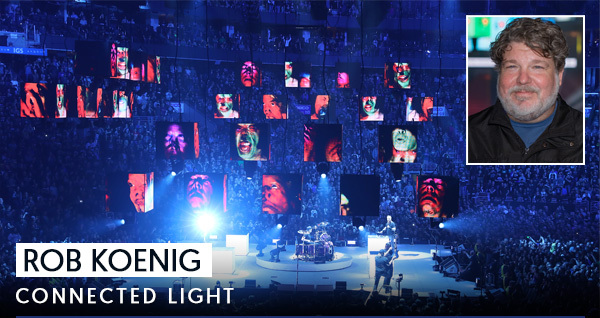 The renowned designer of Metallica’s WorldWired stadium and arena tour shares insights into his holistic design philosophy and describes how it helped him meet the challenge of lighting a 360° in-the-round stage to create powerful transformative looks and connect the superstar band to its audience. Treating backdrops as an integral part of the overall lighting design is an essential part of this 2018 Knights of Illumination finalist’s philosophy. He explains how using scenic elements as design components, rather than background props has allowed him to create more dynamic, camera-friendly designs. Starting out as a “sound person,” this North Carolina native jumped to lighting, and hasn’t looked back since. The LD for one of the more popular jam bands on the touring circuit, he talked to us about life on the road. Up for four Grammy Awards at next week’s ceremonies, Greta Van Fleet is one of the hottest new groups to emerge on the music scene. But its big 1970s sound is heavily retro. Eric Cathcart of Big Time Lighting Design evokes old school looks for the band with 25 COLORado 2-Quad Zoom fixtures. Maverick Storm 1 Wash is a powerful, IP65-rated RGBW Osram LED moving head, and the first of its kind to join the award-winning Maverick series! The outdoor-ready unit features a compact and rugged die-cast aluminum housing built with marine grade stainless steel screws to withstand even the harshest elements.